Since its founding in 1796, Cleveland, Ohio has long been a major hub for many industries and offers many exciting job opportunities for those with forklift certification. Cleveland has also had many recent re-investments in the downtown area, offering job seekers plenty of new work opportunities, as well as an excellent place to live. Cleveland is Ohio’s largest city, and an important transportation hub for the U.S. northeast region. Many companies throughout the city need qualified forklift operators to handle, manage, and store cargo. If your company hires forklift operators, you’re required to provide them training. It’s the law, and OSHA enforces this law with audits, accident investigations, and more. Do you need Cleveland forklift certification for your employees? If so, CertifyMe.net is here to help. With our complete line of compliant, OSHA-approved forklift training courses, we provide forklift certification in Cleveland for your entire workforce. Don’t roll the dice with your safety program. Get signed up today with CertifyMe.net; we’re your best option for Cleveland forklift certification! For those with forklift training in Cleveland, OH, there are many job opportunities in across a diverse array of new industries as well, including overseas shipping and health care. For both employers and employees, nobody beats CertifyMe.net for forklift certification in Cleveland! Cleveland Forklift Training Can Get You Ahead! If you’re considering a move to Cleveland, forklift certification can help get you ahead of the competition. You’ll not only have access to more jobs, but you’ll also be a more attractive candidate to potential employers and position yourself for higher paying positions. While some employers provide onsite training, many require that employees receive forklift certification in Cleveland before they apply for a position. Forklift training in Cleveland, Ohio, is required for any candidate looking to operate regular indoor lifts, rough terrain forklift, pallet jacks, and other industrial powered trucks. Get your Cleveland forklift certification today. It’s the best thing you can do for your career. And for employers, forklift certification in Cleveland is your ticket to a safer, more productive workplace – it’s as simple as that! 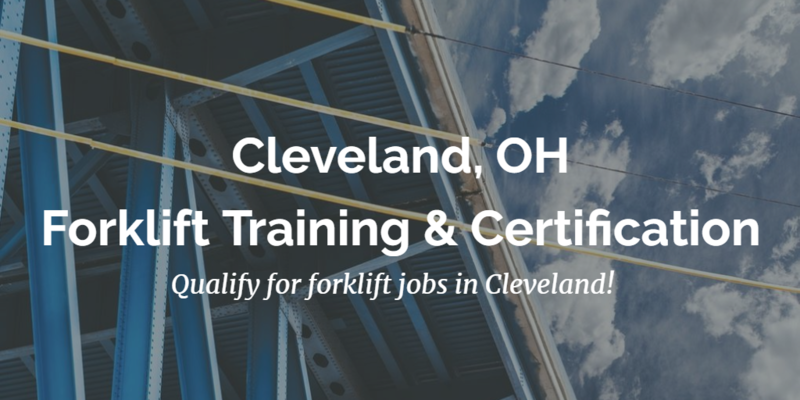 CertifyMe.net’s Cleveland forklift training program can help position you for the best jobs in warehousing, shipping, manufacturing and more with the area’s biggest employers. From Wal-Mart to Kroger, major hospital groups to General Electric, Proctor & Gamble to Honda Motor Co, Cleveland offers tons of employment opportunities with international corporations as well as many smaller operations that always need employees with proper forklift training. Cleveland, OH is a rapidly growing and thriving city with plenty of work opportunities as well as a high standard of affordable living with plenty of diversions. Aside from its strong industrial base, Cleveland also has growing tech and telecommunications sector. Plus, construction jobs are always plentiful in C-town. 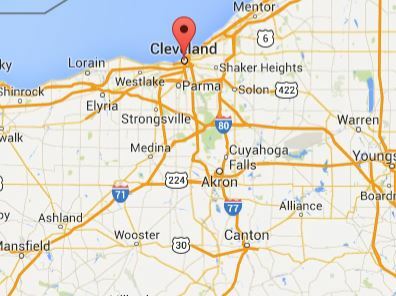 For those with forklift training, Cleveland, OH is an extremely attractive destination. Brimming with employment opportunities, as well as a high quality of life, plenty of fun diversions and a booming downtown, Cleveland is a great place to consider for work. Thanks to CertifyMe.net, you’ll have all the forklift training in Cleveland, Ohio, necessary to land a well-paying career. But the importance of our training classes goes far beyond a mere salary or benefits. Once you’re signed up with CertifyMe.net, you’ll acquire the skills and knowledge necessary to excel on the job – and set a prime safety example for other employees. Employers rely on CertifyMe.net for their forklift certification in Cleveland – and so should you! Give your workers the confidence and safety they need to perform well on the job. Sign up for Cleveland forklift certification today! Plus, CertifyMe.net has a value-added Train the Trainer course to further extend and enhance your OSHA knowledge base – and also help you become your company’s safety coordinator. All of our classes come with free 3-year renewal training, and they’re valid everywhere in Cleveland, throughout Ohio, and across the United States! Thanks for choosing CertifyMe.net for your Cleveland forklift training needs. We look forward to hearing from you soon. If you have any questions about forklift training in Cleveland, Ohio, give us a call today at 1-888-699-4800.